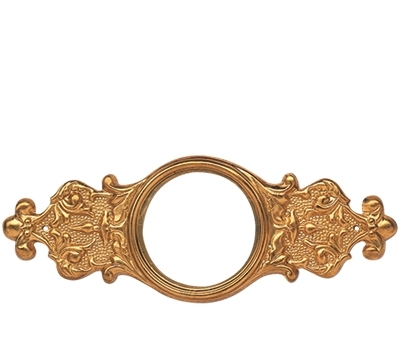 Escutcheon plate reproduction like those used on antique tables from 1884-1916. Stamped, solid brass. Sold individually. Use with 36-550, 36-551 and 36-552 rail caps (sold separately).